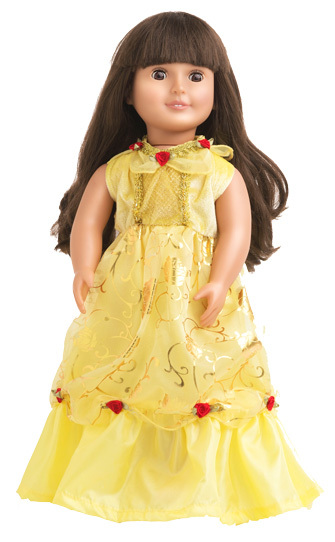 Beauty becomes the belle of the ball when she dons her yellow gown. And just like the story, we can't forget the roses! The dress is stylishly adorned with red ribbon roses. And the gold rose patterned overskirt with gathers and red roses is the fanciest we've ever seen! And if you don't know us by now,we promise it's comfortable, durable, machine washable and won't shed glitter. Q: Is there any glitter on this dress? I've had some issues with other costumes with glitter shedding all over the house, getting in little eyes and noses. A: I'm so glad you asked...we hate glitter too! There is NO glitter on this dress. Q: It says for 15.99 add the belle of the ball dress, what is that? A: Thanks for asking! That's the adorable matching Doll Dress! Q: Do the shoulder straps hang off the shoulder? A: The sleeves do NOT hang off the shoulder. Thanks! Q: Does it come in pink? 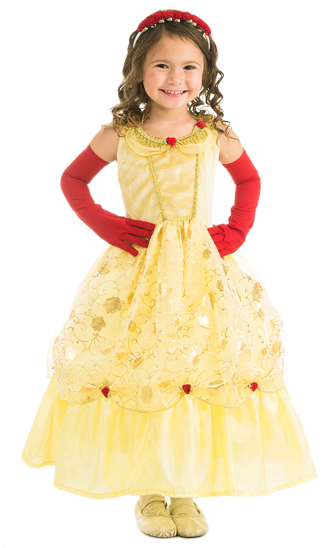 Belle of the Ball DRess up costume. 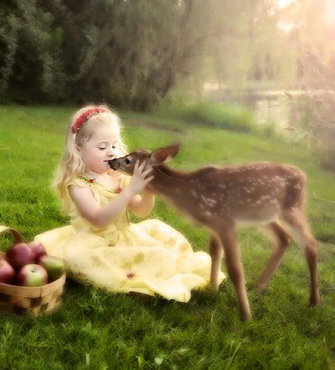 Q: I'm looking at this for my granddaughters 2nd birthday, however she is very petite. She's approximately 21lbs and 30 inches tall. Is the size small going to be way too big? 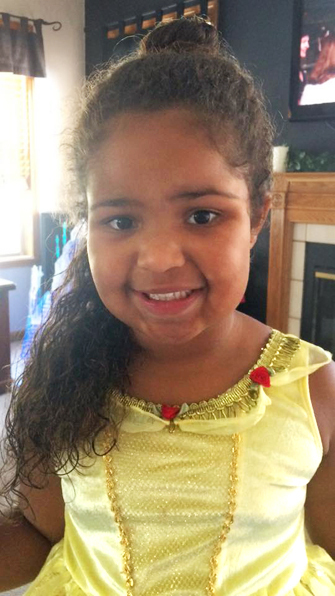 A: She is within the weight limit and a size 2 is perfect for a size Small. You will just want to consider that the dress is 25" long. Measure her from shoulder to floor to see where it will hit on her. Q: Do you need the fullness slip for the dress? A: The fullness slip is really a personal choice. Some girls love the ballgown look and some would rather just not bother with a slip. If you want the look in the picture, yes you will want the fullness slip. It is a separate piece so it can be used under our other dresses as well, allowing the need to only purchase one. Q: does the overlay skirt go all around or it it just in the front? A: The overlay does go all around the skirt but it does not have the gold flowers. Q: What is the gold design on the fabric made of? A: Great question! The gold rose pattern is a foil applique that is part of the sheer chiffon fabric. It is completely washable and will never peel away. 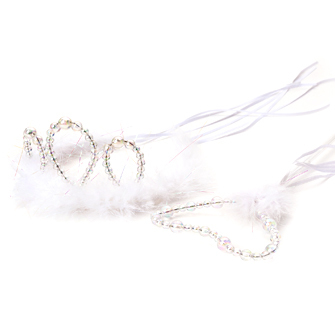 It adds shimmer and sparkle without shedding glitter all over your house. Q: Is there a zipper? How does this dress close up in the back? A: There is no zipper or velcro. That would be too frustrating for little ones to do themselves and might snag the fabric. Instead this dress is quite stretchy and will go over her head just like a t-shirt. Easy! This dress is wonderful! I purchased for my daughter's 3rd birthday. I'm currently on the website shopping for a dress for her 4th birthday. It's almost a year old and has held up very well! It's easy for a child to put on herself and is made out of soft fabrics. 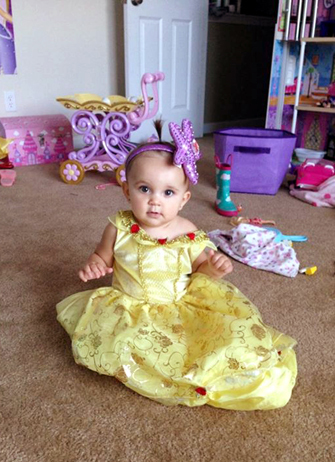 I've lost count how many times she has disappeared into her room to emerge as Belle! 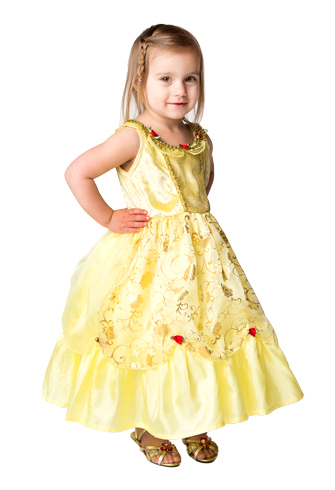 This dress is absolutely stunning and my daughter loves dressing up as Belle! It must be comfortable as she doesn't want to take it off. We also bought the red cloak and rose headband and couldn't be happier. 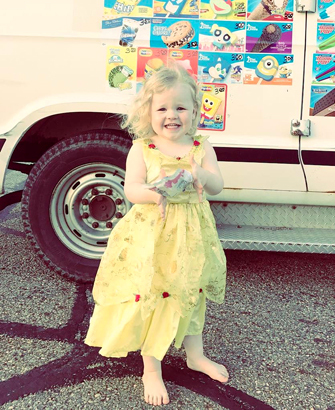 We will be buying LOTs more dresses from this site as they are gorgeous and right now my almost 3 year old is convinced she is a princess!! 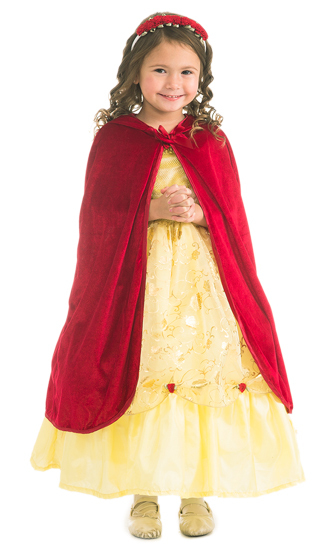 Based on the reviews, I bought this dress, the slip, headband, and cape for my granddaughter's 4th birthday. The reviews were right. Everything shipped super fast. The dress price is comparable to the brand name one and this is much nicer. My granddaughter loves it. It fits well and my daughter-in-law says it is very soft. Received this dress today, I couldn't be happier! So soft compared to other brands. 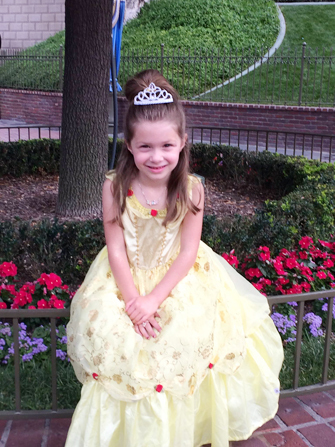 Usually my daughter feels like a contortionist putting princess dresses on but not this one. 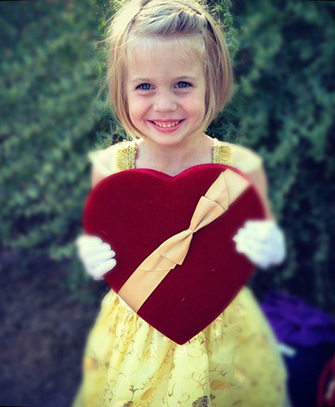 I feel good about her wearing this in the Disney parks. Previous dresses were to heavy, sticky and scratchy. I do recommend the slip of your after the typical fullness of princess dresses. This is the first dress we bought from this store. I have 2 daughters, ages 5&6. 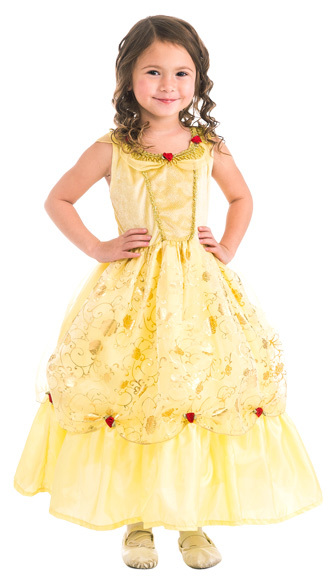 My 6 year old wanted to be Belle for Halloween aND I loved how unique this one was so on a whim, I ordered it. It is s much more than I expected! It's soft, comfortable. Feels like real clothes! My only regret is no finding this place sooner. 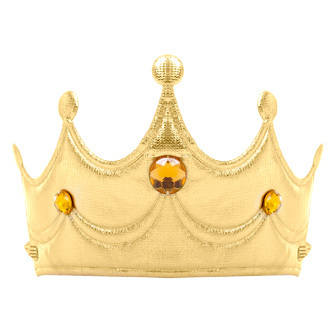 Just ordered a Aurora one for my other daughter so we'll be ready for our trip to Disney in a few weeks!